Salon Twenty-Two, Inc. was founded in July of 2004 by current owner and lead stylist, Tracy Heebner. Since then they have been honored with The Mercury Readers Choice Award for the #1 Hair Salon 7 years in a row AND we won 2017 Best Day Spa. 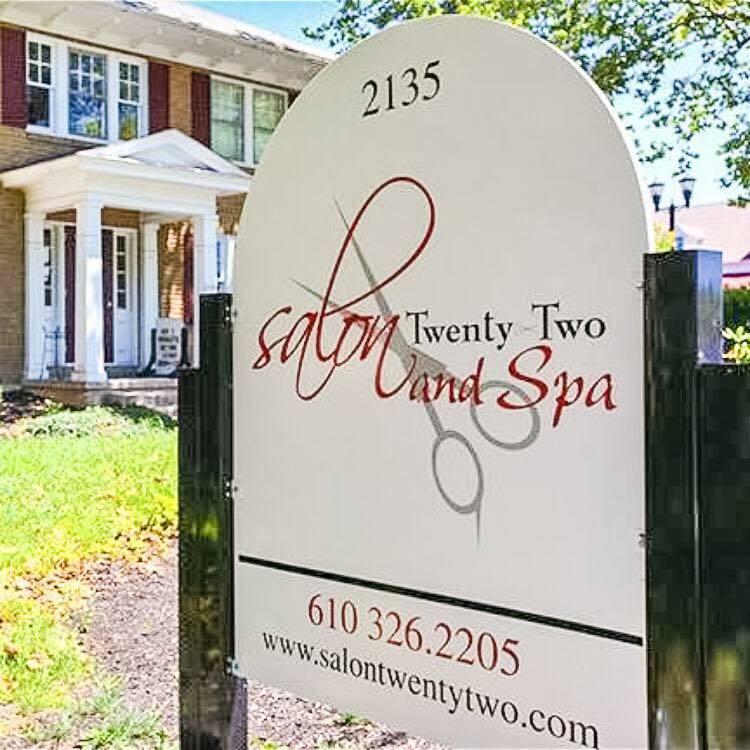 Moving locations in January of 2012, Salon Twenty-Two and Spa was created in their current location on High Street in the Sanatoga area of Pottstown. They now offer a full service menu of salon and spa services. While maintaining the environment that their clients have come to love, they are now able to branch out into some of the more relaxing areas of the beauty industry. From hair to skin, tanning to massage, waxing to energy work, the Salon Twenty-Two and Spa team is always staying on top of the latest trends and innovations. They are always open to ways to grow and ways to better service their clients.